Now you can own a curved smartphone in mid-range price because LG has launched world’s first mid-range curved smartphone, the all new LG Magna featuring 5-inch HD Curved display, 8-MP+5-MP Camera in Indian market priced at. 16,500 in Blue, White and Black colour option. LG has recently launched World’s best curved smartphone the all new LG G FLex2 with flexible display in India at 55,000 in Platinum Silver and Flamenco Red colour option. LG has also launched it’s mid-range smartphone LG G Stylo with 2TB MicroSD card slot in South Korea priced at KRW 400,000 (Approx. Rs. 23,200) will be available Globally from 5th May in White colour option. The all new LG Magna supports Single SIM, 4G LTE, Bluetooth 4.1, Wi-Fi, NFC, GPS and USB 2.0 offers you a 5-inch HD Curved display with resolution (720×1280 pixels) and a pixel density of 294ppi offers you crystal clear wide-angle view perfect for watching movies, playing games and reading e-books. LG Magna is powered by a powerful 64-bit Quad-core Qualcomm Snapdragon 410 SoC with 1GB RAM and latest Android 5.0 Lollipop OS makes your multitasking a fun and gives superior gaming environment and allows to run your apps smoothly. It comes with 8GB in-built memory with 32GB microSD card slot offers you huge space to store your favourite movies, songs, videos, games and e-books. LG Magna sporting a 8-MP Primary Camera with LED Flash, CMOS sensor, f/1.8 aperture for shooting in low light condition while 5-mp front camera best for clicking selfies and making video call packed with a powerful 2540mAh battery with fast charging measures 139.7×69.9×10.2mm including innovative features like Knock Code™, Gesture Shot, Glance View and Gesture View. connectivity 4G LTE, Bluetooth 4.1, Wi-Fi, NFC, GPS and USB 2.0. 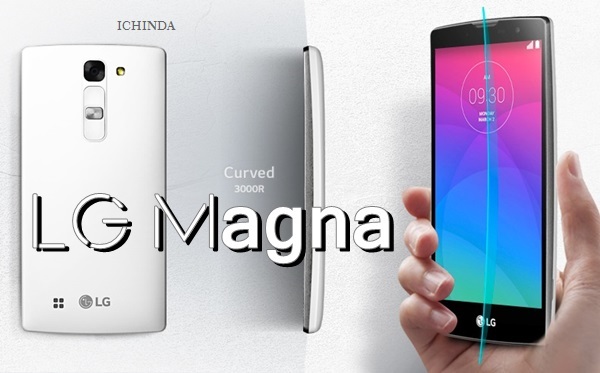 At last few honest word, LG Magna is the best smartphone under Rs 20,000. What you think? Please be first to write a review.